One of the oldest figures in the world of legend, trolls may be naive but that doesn't make them less dangerous. They come in different varieties, but most people today think of them as large monsters with gigantic tusks and double-wide noses. 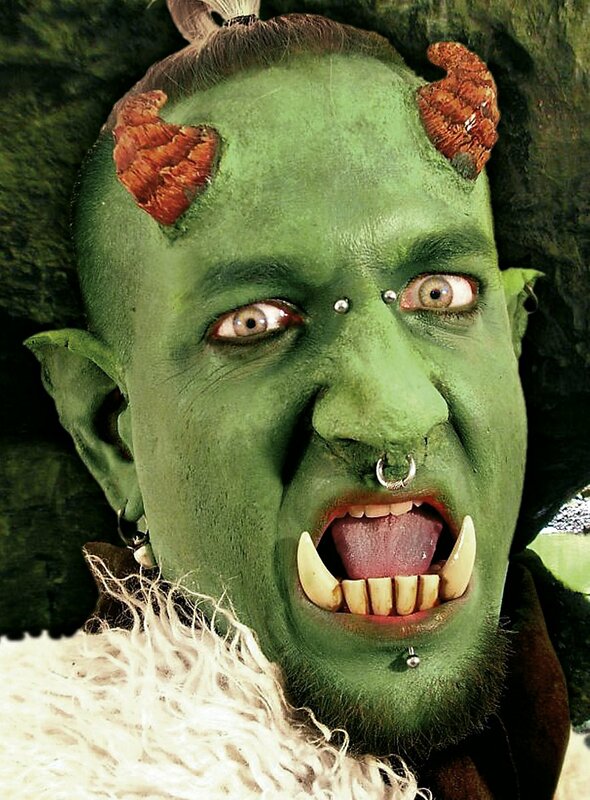 This handcrafted Troll Nose from maskworld.com is "Made in Germany" of high-quality latex using a method preferred by professional make-up artists. Latex features extreme elasticity and durability. Due to these properties, they maintain their high level of wearing comfort and highly realistic appearance even if you use them frequently. The enclosed maskworld.com Mastix is a highly skin-compatible spirit gum for the easy application of all types of latex prosthetic piece and hair effect.